Take some advice from rookie home owner Desirae Odjick about houses as an investment. The idea that owning a house is an investment is so ingrained that a recent survey found one-third of homeowners expect rising prices to provide for them in retirement. 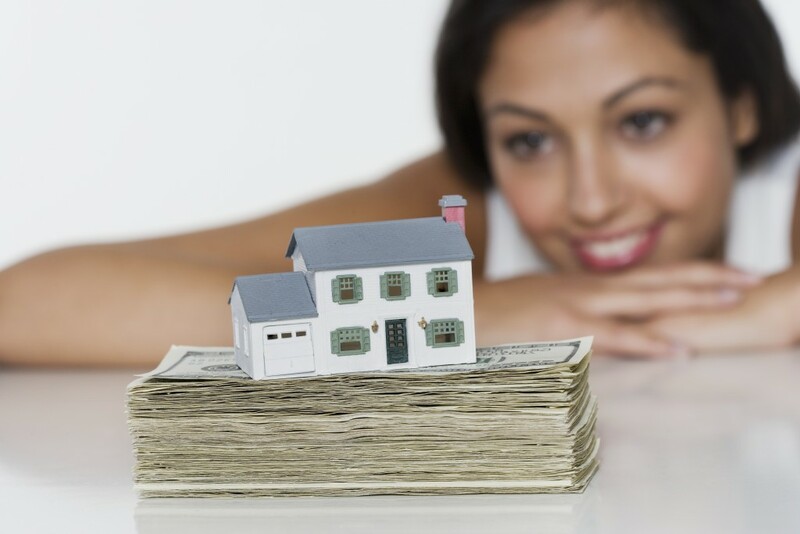 But rising prices do not necessarily mean houses are a great investment. Ms. Odjick lives in a suburb of Ottawa, where the real estate market’s recent strength still leaves it way behind price gains seen in the Toronto and Vancouver areas. But her point is relevant to all markets where prices aren’t soaring, and probably to hot markets as well if you’re just now buying a first home and understand that continuous massive price gains are unlikely. One example is the $3,000 spent at IKEA to equip the house with furnishings as mundane as bathmats. Another was the cost of term life insurance, which, incidentally, is a smart purchase. Term life answers the question of how the mortgage gets paid if one partner in a home-owning couple dies. Estimates of the cost of upkeep and maintenance on a home range between 1 and 3 per cent of the market value. Her house cost $425,000, which means that upkeep costs conservatively estimated at 1 per cent would come out to an average of $4,250 per year and a total $106,250 over 25 years. 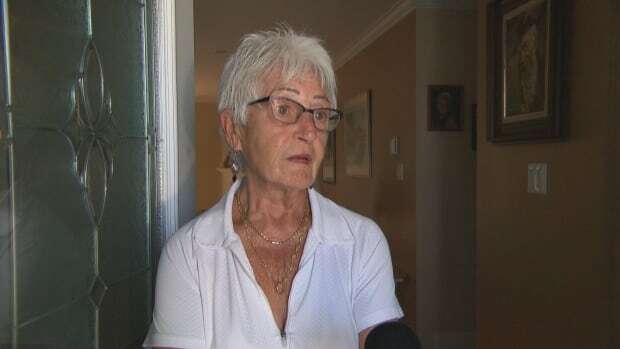 Ms. Odjick is too recent an owner to have much sense of these costs, but the housing inspector she used before buying warned her to expect to need a new roof in two or three years. She and her partner don’t have grandiose plans to fix their place up right now, but she did mention that they are looking at having children. There will almost certainly be expenses associated with getting the baby’s room ready. In her own analysis of housing costs, Ms. Odjick estimated the cost of property taxes at 1 per cent of a home’s value. That’s another $4,250 per year. This cost would add up to $106,250 over 25 years, and that’s without annual increases factored in. The biggest cost homeowners face is mortgage payments. Ms. Odjick and her partner made a down payment of 10 per cent on their home and chose a two-year fixed-rate mortgage at 2.71 per cent. Assuming rates stay level and no prepayments are made, this would theoretically work out to a total of $542,122 in principal and interest over the 25-year amortization period. Let’s add up the costs of home ownership as likely to be experienced by Ms. Odjick over 25 years. There’s the $42,500 she and her partner put down to buy the house, the $106,250 cost for each of property taxes and upkeep/maintenance and $542,122 in mortgage principal and interest. Total: $797,122. Now, let’s imagine the $425,000 house appreciates at 2.5 per cent annually for 25 years. That’s in line with reasonable expectations for inflation. The future price in this case would be $787,926, which means Ms. Odjick and her partner would have paid a bit more in costs than they get for selling their house in the end. Are you a Canadian family that has made a financial decision to remain lifelong renters? If you would like to share your story, please send us an email. Claudette Charron thought she bought her perfect house — a fixer-upper in need of a little TLC, at a good price in a small community — until she discovered there used to be a marijuana grow-op in the basement and the house needed tens of thousands of dollars of work to make it safe to live in. “It was a foreclosure, so you know it was at a decent price because I couldn’t afford very much,” says Charron, who is a carpenter. Charron, her boyfriend and her 16-year-old son moved into their new home in Limoges, Ont., at the end of June 2016, one year after there had been a drug bust at the house. A day after moving into the community just east of Ottawa, she talked to a neighbour who asked about damage to the basement. “I said, what do you mean how bad is the basement? She’s like ‘What? They didn’t tell you that there was a big drug bust here and that they took 148 [pot] plants out of the basement,'” Charron says. Go Public found there is a long list of failed attempts to implement grow-op registries that would publicly identify the locations of drug houses. 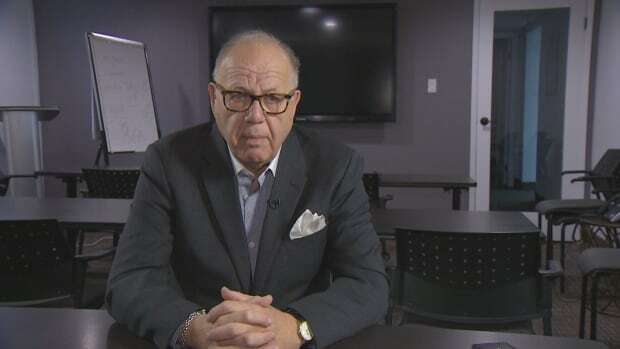 Instead, many provinces are left with a mishmash of rules and guidelines around who’s responsible for identifying and disclosing former drug houses in real estate transactions. Experts say the lack of a workable tracking system and clear rules can leave homebuyers facing health risks, diminished home value and huge cleanup costs. 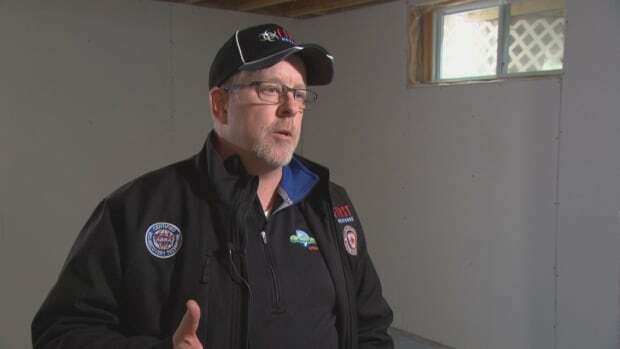 The home inspector Charron hired before buying recorded no evidence of a grow-op, even though home inspectors in Ontario are obligated to look for signs. After learning of the home’s history, Charron got another inspection done. 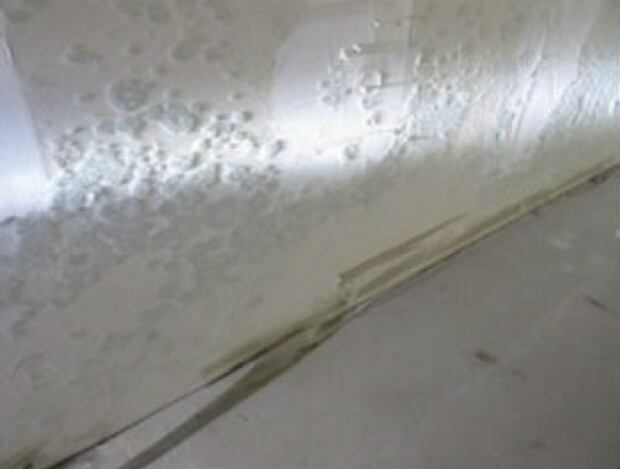 The company also tested for mould and moisture in the air and behind the walls. 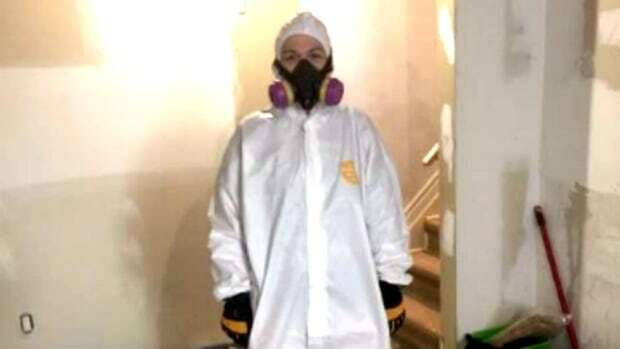 “The counts in this house were probably in the top five or six per cent of anything that we have encountered for an indoor spore count directly in the vicinity of the grow operation,” says Richard Sticklee, who works for Enviro Pure First Response. He estimated the cost to clean up Charron’s home would range from $25,000 to $100,000, depending on what has to be done. Charron has spent more than $30,000 so far on the house she paid $265,000 for. Police notify the city of the location of a grow-op. The city tags the home. 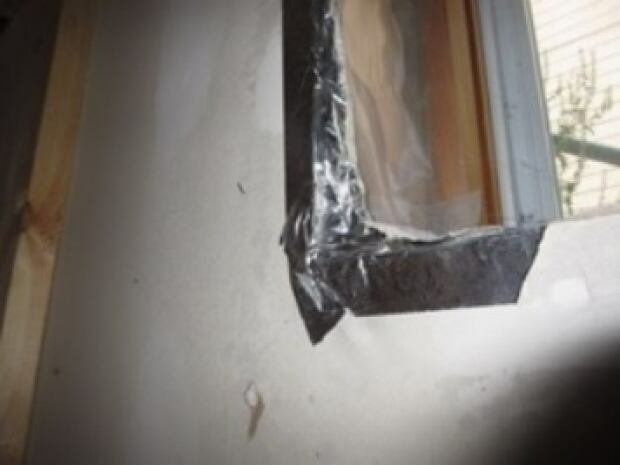 The homeowner takes specific remediation steps. The city oversees the cleanup to ensure it’s done safely and properly. 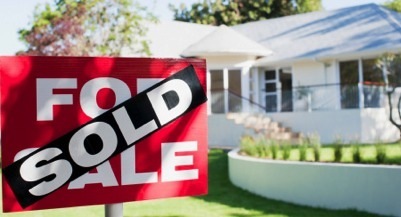 The house can be sold, but the seller needs to disclose its history. 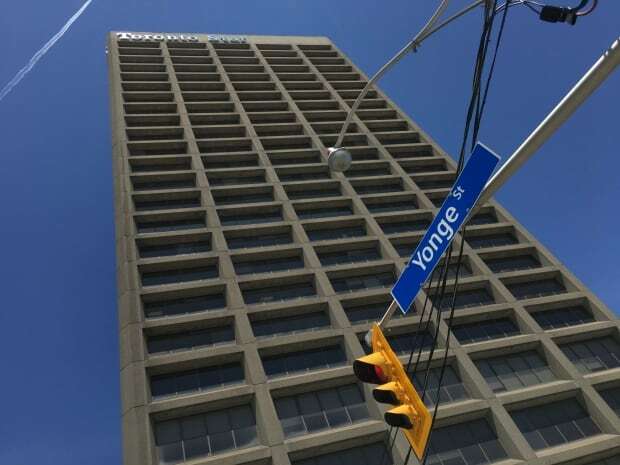 In Charron’s case, Street Capital Bank of Canada was the seller. It took possession of the house after the people who had the grow-op declared bankruptcy. Charron is now suing Street Capital, its realtor, and the original home inspector she used. Go Public found tracking systems that should alert potential buyers of a home’s drug history are either failing or nonexistent. Ottawa police do list dismantled illegal grow-ops online, but only five locations have been listed over the past five years. In Ontario, there is a provincial guideline that says police should notify municipalities, in writing, of grow-ops so the municipality can oversee the remediation and ensure it’s done safely and properly. That didn’t happen in Charron’s case. In some other provinces, like B.C., that’s the rule, not just a guideline. On a national scale, the RCMP tried to launch a website in 2010 that was supposed to list addresses of homes across Canada where marijuana grow operations and illegal drug labs were found and dismantled. That too went bust. Go Public also found no provinces require sellers to disclose a home’s history as a former drug house. The closest to it is in B.C. where it’s “strongly recommended” sellers disclose a house’s drug history. In most provinces, sellers don’t have to mention a marijuana grow-op specifically, as long as it didn’t do damage. If it did, it is considered a material latent defect, which does have to be disclosed. Barry Lebow has been a real estate broker and agent and now works as an adviser for brokerages and the public. “I think that a registry makes sense. I really do. I think that withholding information from the public isn’t a good thing and it would make it so much easier,” he says. Lebow notes that realtors in a lot of provinces are responsible for making their “best efforts” to find out the history of a house. He says marijuana grow-ops are more common than most people realize, saying buyers need to use different search engines to look up the address and owner’s names of a property they are interested in buying and searching news archives for reports on grow-ops. He also suggests talking to neighbours. Go Public canvassed Charron’s neighbourhood after she contacted us, asking if anyone, real estate agents or the mortgage company, had come by to ask about the home’s history before or after the sale. “Nobody. The only person that came over was the new owner,” says Ethel Manns, the neighbour who told Charron about the drug history of her new home. Q: I bought a house in 2010 for $600,000 and lived in that house as my principal residence until 2013. Then I bought and moved into another property. I rented out the first house and reported all income on my tax returns. In 2016, I sold the rental property for $900,000. When I file my tax return for 2016, how much capital gains am I supposed to declare and report to the CRA? Is it $900K minus $600K, minus the cost of disposition; or $900K minus whatever the deemed fair market value of the property at the time when I moved out in 2013, minus the cost of disposition? You are entitled to a principal residence exemption for the time you lived in the residence—between 2010 and 2013. The formula for calculating your principal residence exemption also includes an extra year so you will have four years of exemption according to the formula. 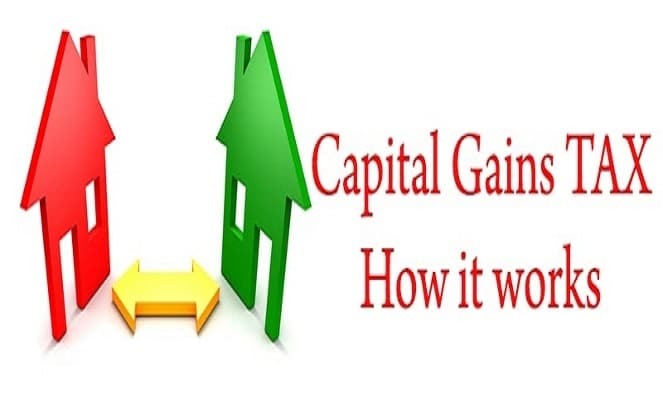 Your capital gain before factoring in the principal residence exemption is your proceeds of disposition ($900,000) minus your purchase price ($600,000), which works out to $300,000. 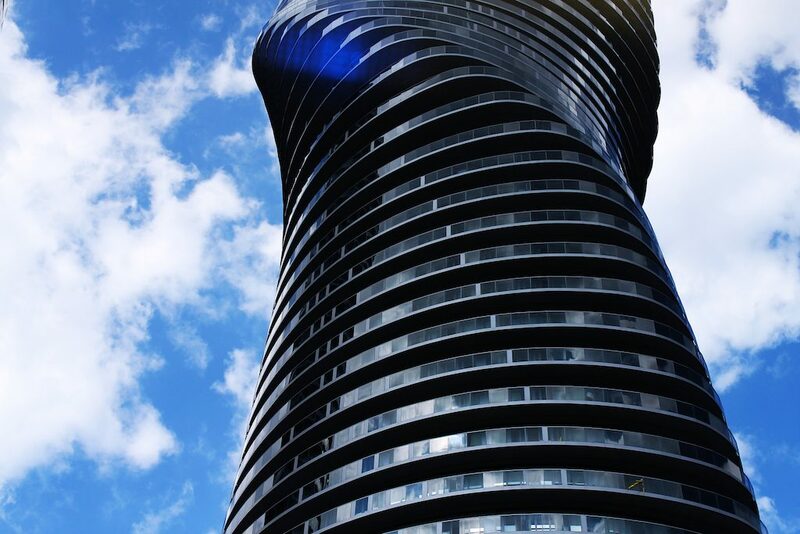 Your capital gain after factoring in the principle residence exemption is $100,000 (as $300,000 minus $200,000 = $100,000). Because it’s a capital gain, the CRA will only charge you tax on 50% of that gain, resulting in a taxable capital gain of $50,000. The amount of tax you pay on that $50,000 will depend on your marginal tax rate. To report the sale and tax owed, you must complete form Form T2091(IND) Designation of a property as a Principal Residence by an Individual (Other Than a Personal Trust) and file it with your income tax return. Source MoneySense.ca – Ayana Forward is a real estate investor who also holds the Certified Financial Planner (CFP®) designation. Ayana is fee-based Financial Planner with Ryan Lamontagne Inc in Ottawa, ON.